The number one financial worry for Americans, according to a recent Gallup poll, is having enough money for retirement. Most experts agree that Americans simply aren’t saving enough; half of U.S. households with someone age 55 or over, as well as two-thirds of working Millennials, have no retirement savings at all according to the Government Accountability Office. In addition to lower saving rates, there are major demographic changes underway that will also affect retirement security. Over the next 30 years, the number of people age 65 or older is expected to climb by nearly 32 million, while the working age population will increase by only 25 million. That shift will place federal programs like Social Security and Medicare under considerably greater stress. Let’s look at three major challenges to retirement security — as well as potential solutions that can help more Americans be comfortable in their later years. 1. 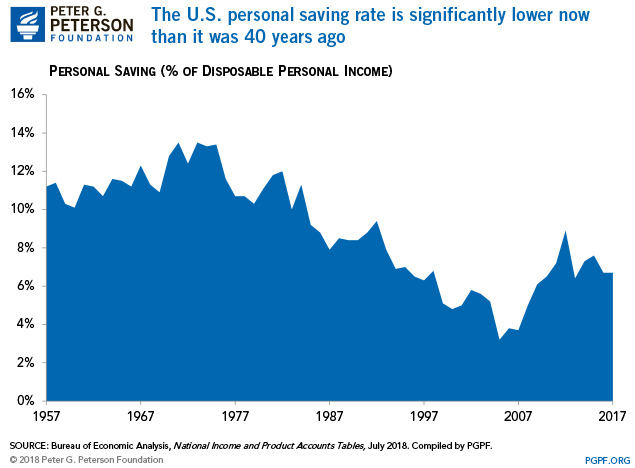 Americans aren’t saving enough in the short-term to adequately fund the long-term. Most Americans have not saved enough money to live comfortably in retirement. 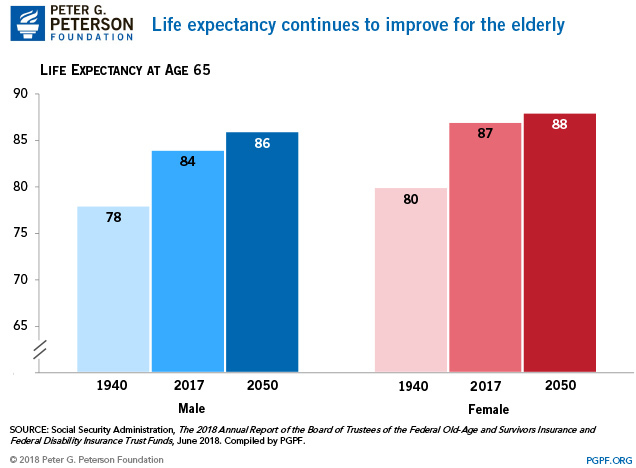 As average life expectancy continues to increase and future income from Social Security stagnates or even decreases, saving adequately for later-in-life expenses will be more important than ever, especially for younger workers. The National Institute for Retirement Security (NIRS) finds that Millennials will need to set aside between 15 and 22 percent of their income in order to have adequate savings in retirement; that’s twice as much as was recommended to previous generations. However, Millennials have proven less likely to defer a portion of their income for retirement than their Baby Boomer and GenX counterparts. NIRS found that of the two-thirds of Millennials who work for an employer that offers a retirement plan, only one-third of those actually participate. Baby Boomers and GenX’ers are not saving substantially more than Millennials, though, given that only half of private sector workers of all ages participate in a retirement plan when it is offered by their employer. Although low levels of retirement savings among Millennials is particularly problematic, there are some disadvantages the youngest working generation faces that make saving more difficult. One such disadvantage is that Millennials began entering the labor force around the time of the Great Recession, so many struggled to find any job, let alone one that offered retirement benefits. A second disadvantage noted by the Pew Charitable Trusts, is that many Millennials are either new to the workforce or have recently switched jobs, and may therefore not be eligible to participate in their employer’s benefit plan; older workers are more likely to stay in jobs long enough to become eligible for workplace plans. Pew also notes that Millennials are likely earning less because they are just beginning their careers, and may have other more immediate financial priorities like paying rent and student loans. In fact, workers of all ages face certain challenges in setting aside an adequate amount for retirement — NIRS finds that about 79 percent of Americans agree that the average worker has difficulty saving enough on his or her own due to rising costs of long-term care, stagnating wages, increasing debt, fewer pensions, and volatile stock markets, among other reasons. One practical way to get Americans to save more for retirement would be for more employers to offer matches on defined contribution plans like a 401(k) or an IRA, and reduce the waiting period for workers to become eligible for those matches. The Pew Charitable Trusts found that take-up of a retirement plan rises by about 15 percent when a match is offered. 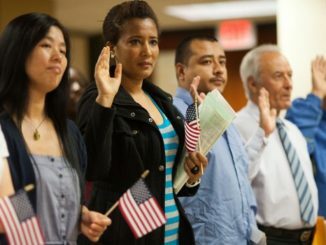 In addition, employer matches could be made available to both full- and part-time employees. 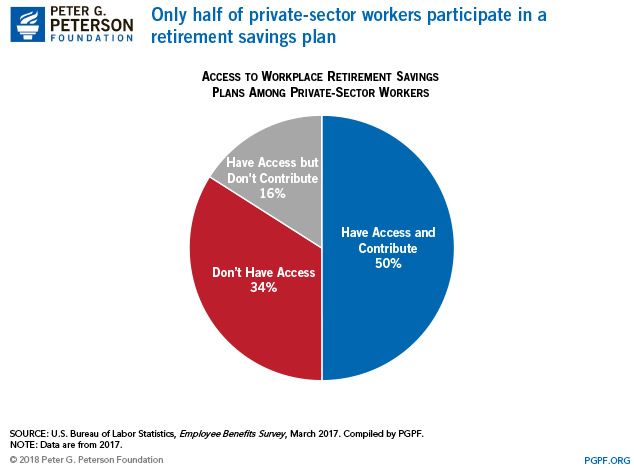 Another employer-side solution is auto-enrollment in a retirement plan; instead of having new employees opt in to a retirement plan, employers could automatically enroll them while providing the ability to edit or opt out of that plan. In a 2001 study conducted by Brigitte Madrian of the University of Chicago and Dennis Shea, a Vice President at United Health Group, participation rates skyrocketed from just 20 percent among newly eligible employees under the opt-in approach to 90 percent under automatic enrollment; enrollment increased to 98 percent within another three years. Auto-enrollment also tends to lead to fewer employees dropping out of their plans. Increased education, particularly on matters of personal finance, has also been shown to be effective in improving retirement security. For instance, a study by the Organisation for Economic Co-operation and Development indicates generally low levels of financial understanding among Americans, owing largely to the feeling that financial information is complicated and difficult to understand. Similarly, the report cites a survey showing that less than one-quarter of working Americans consider themselves “knowledgeable investors”. Standardizing personal financial education in schools would help encourage responsible retirement saving and increase overall financial acumen. Likewise, a study by the Pew Charitable Trusts found that while 75 percent of eligible workers age 22 or older with a high school diploma or less took up a plan when offered, 89 percent of workers with a bachelor’s degree or higher joined a plan when offered. In short, greater knowledge of personal finance leads to greater awareness for the issue of retirement security, and ultimately smarter decision-making when it comes to proper retirement planning. 2. As average life expectancy continues to increase, so too does the risk of outliving one’s savings. America’s population is aging and living longer. Average male and female life expectancy in the US for 2017 has risen to 84 and 87 respectively, up from 78 and 80 in 1940. While this is an undeniably positive trend, increased longevity has crucial implications for retirement security. A startlingly high proportion of American adults approaching or already in retirement have no retirement savings. What’s worse, NIRS finds, is that of the households nearing retirement that do have a 401(k), the average account balance is $111,000, which comes out to just $400 per month in retirement to supplement Social Security benefits. That amount by itself is well below the federal poverty line for a single American ($1,012 per month), let alone for an entire family. If retirees continue to rely so heavily on Social Security, the poverty rate among elderly U.S. citizens could reach or even surpass Great Depression levels. Research from NIRS shows that of the 18 million workers aged 55 to 64 in 2012, over 4 million will be poor or near poor by age 65. By 2035, roughly 20 million retirees will be living in or near poverty; this number is projected to jump to 25 million by 2050. According to the Census Bureau, that means that roughly one in four retirees would be impoverished by 2050. Older Americans are particularly vulnerable because they are prone to unforeseen health complications that demand hefty medical payments—all too often leading to bankruptcy for households without adequate later-in-life savings. The problem of outliving one’s retirement savings is most pressing for those already in or about to enter retirement. Although there is no real substitute for a lifetime of wise financial planning and dutiful saving, options do exist that can help supplement one’s later-in-life income and emergency preparedness. One such option is to take advantage of home equity. In a report commissioned by the Bipartisan Policy Center (BPC), researchers found that the net worth of half of all homeowners 62 and older is in their homes; they are “home-rich, but cash-poor”. Homeowners may access their home equity either in the form of a home equity line of credit or a reverse mortgage, using their homes as collateral and with interest accruing on the loan. BPC’s report notes that federal tax policy promotes this sort of mortgage debt by allowing for itemized deductions on mortgage interest payments. Although a second mortgage can be risky if not properly planned for, an occasional deduction from one’s home equity line of credit for purchases considered “of essence” is a potentially low-risk way to supplement one’s retirement income. More broadly, younger workers would do well to understand early on that they are likely to live longer than previous generations, and should structure their financial planning accordingly. This would be best achieved by deferring a greater percentage of one’s income beginning as early in life as possible, increasing personal savings for short-term needs while delaying access to one’s retirement savings as long as possible, and paying off as much of one’s mortgage prior to retirement as possible in order to own the most equity in a home when applying for a home equity line of credit. 3. 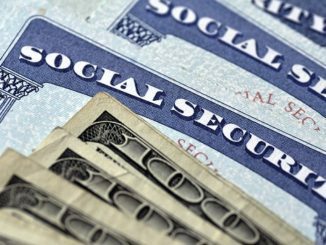 Social Security will soon be unable to provide full benefits. 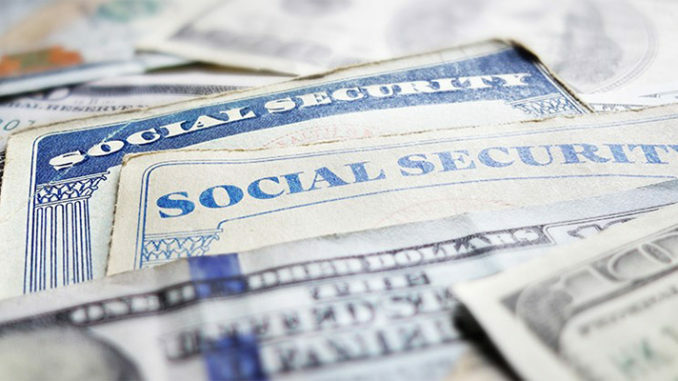 Social Security is the largest single federal program in the United States budget (the retirement portion of the program spent nearly $800 billion in 2017). As the enormous Baby Boom generation continues to retire in greater numbers, the Social Security Administration projects that the Old-Age and Survivors Insurance (OASI) and Disability Insurance (DI) trust funds will be depleted by 2034 and 2032, respectively. Upon joint depletion in 2034, 86 million beneficiaries will face a 21 percent across-the-board cut in benefits. 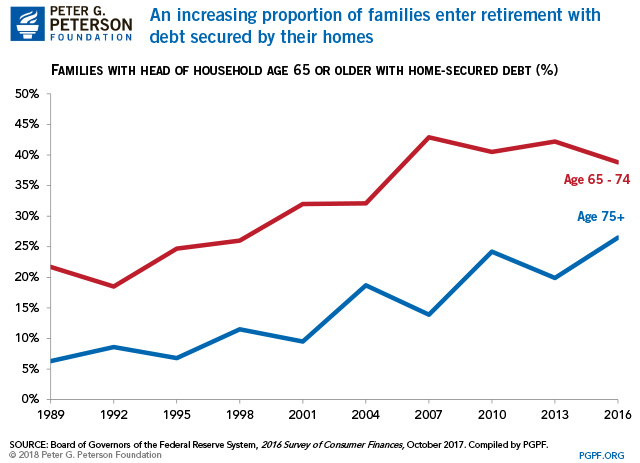 This is problematic for a number of reasons, chief among them being the inordinately high percentage of retirees who rely on Social Security payments for their livelihood. According to NIRS, almost half of all Americans 65 and older live in families that depend on Social Security for at least half of their family income; about half of those families rely on Social Security for 90 percent or more of their income. 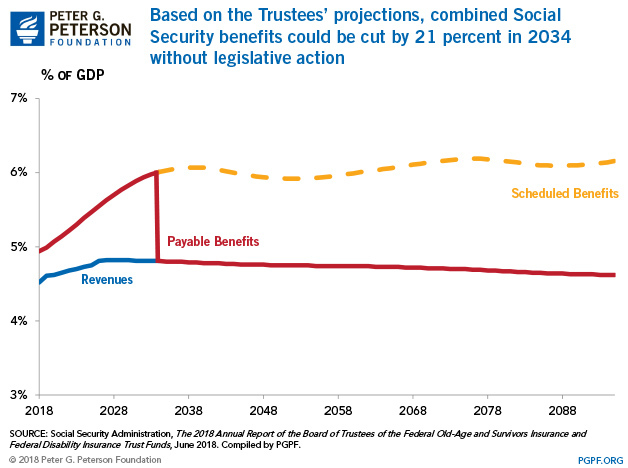 Social Security will be placed under even greater stress as more workers enter retirement expecting the program to provide for all or most of their later-in-life expenses. In sum, fewer workers paying taxes to support Social Security coupled with the aging of a population wherein half of the households have no personal retirement savings will present significant challenges for millions of Americans in their later years. 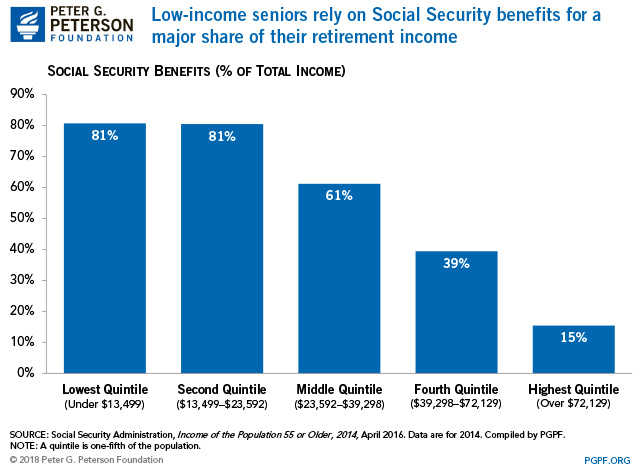 Although the outlook for America’s Social Security beneficiaries is grim, it is not beyond repair. One proposed solution is to increase the payroll tax from its current 12.4 percent on wages and lift the cap on earnings subject to the tax. The increase in revenue for the program could help mitigate the effects of the growth in beneficiaries. Another set of solutions could address some of the age markers in the program. For example, one possibility aimed at fighting poverty at older ages would be to increase the benefits received at age 85; another would be to increase the retirement age for younger cohorts and index it to increases in longevity. Last, some experts have recommended incorporating progressive price indexing, which would combine a reduction in benefits for high earners with an increase in benefits for lower earnings.